Audien, Late Night Alumni, Super8 & Tab, Alexander Popov, Cosmic Gate and more. Bringing you a massive episode 27 of our weekly round up of the latest and best music. 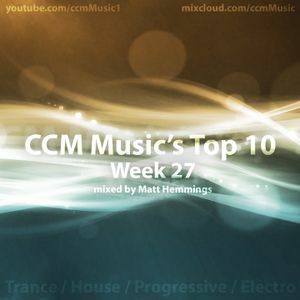 This week we focus heavily on some of the great new trance and progressive sounds, with brand new music from the likes of Audien, Beat Service & Susana, Markus Schulz, Alexander Popov, a great new track from Aly & Fila&apos;s new album and Menno De Jong&apos;s euphoric remix of I&apos;ll Follow, bringing back that classic 90&apos;s sound in style. Reaching a little further back in the year, we have great tracks such as Juventa&apos;s remix of L.A. from Super8 & Tab and Woody Van Eyden&apos;s banging remix of PvD&apos;s Sun After Heartbreak.